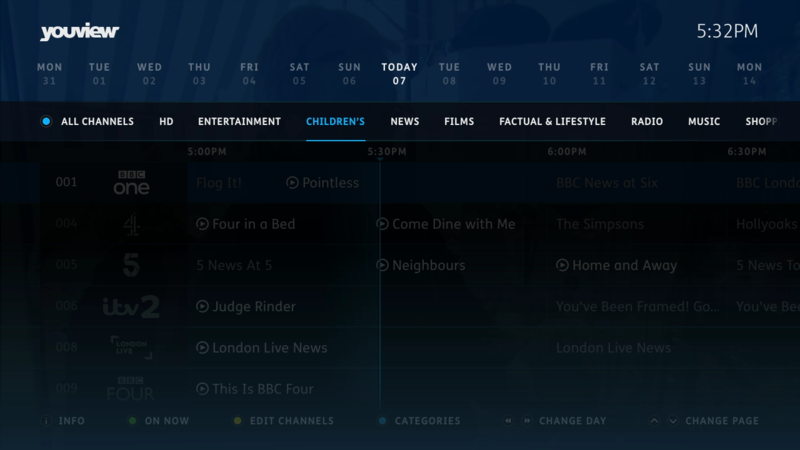 The edit channels feature is currently available in the guide. If your box does not currently have one of the above software updates, check out our Latest Box Version table to see the most recent version available for you. If you’re not sure what box model you have, follow these steps to find out. When in your Guide, pressing the Yellow button on your remote will allow you to Edit Channels. Simply highlight the channel/s you want to hide/un-hide and press OK on your remote. Once complete, select the onscreen Done button, or press the Yellow button to finish. 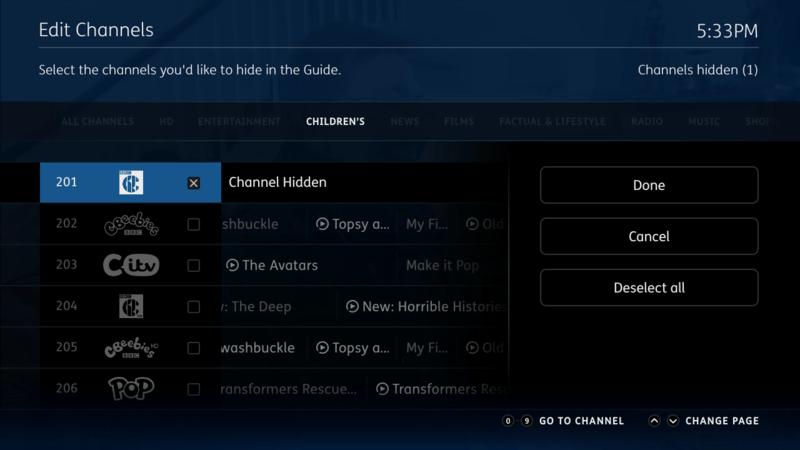 You can also choose to hide channels from a specific category in the Guide. 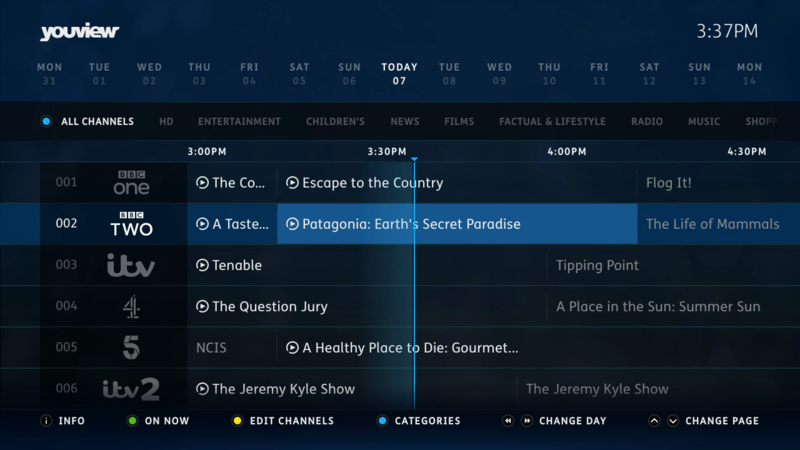 When in the Guide, press the Blue button to choose a category, and the Yellow button to edit channels. 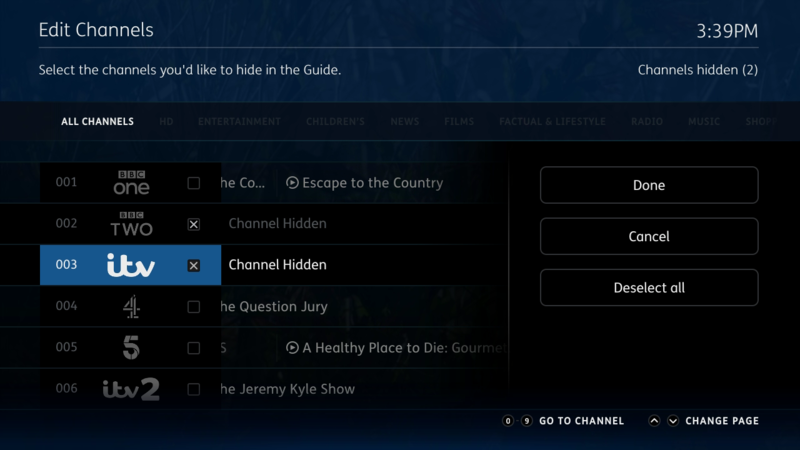 You can then select channels to hide from the specific category.